Sunday afternoon was an exciting time as the juvenile Osprey I've been watching took its first flight out of the nest. Later in the afternoon, I left to take my son to the park for a bit. 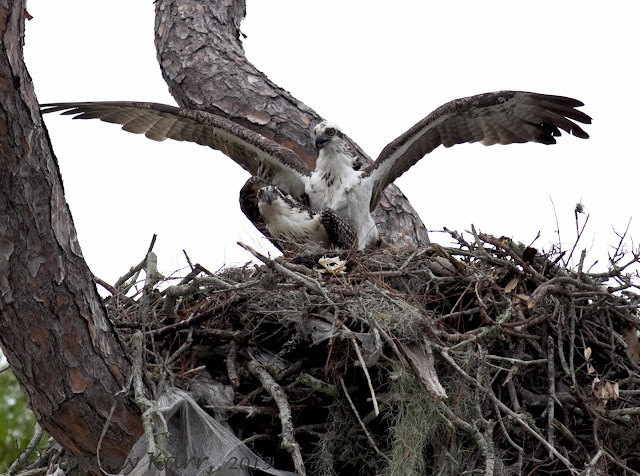 Upon returning, I took a quick look up the tree and was quite surprised to now see 2 juveniles...what....I know for certain only 1 was raised in this nest. 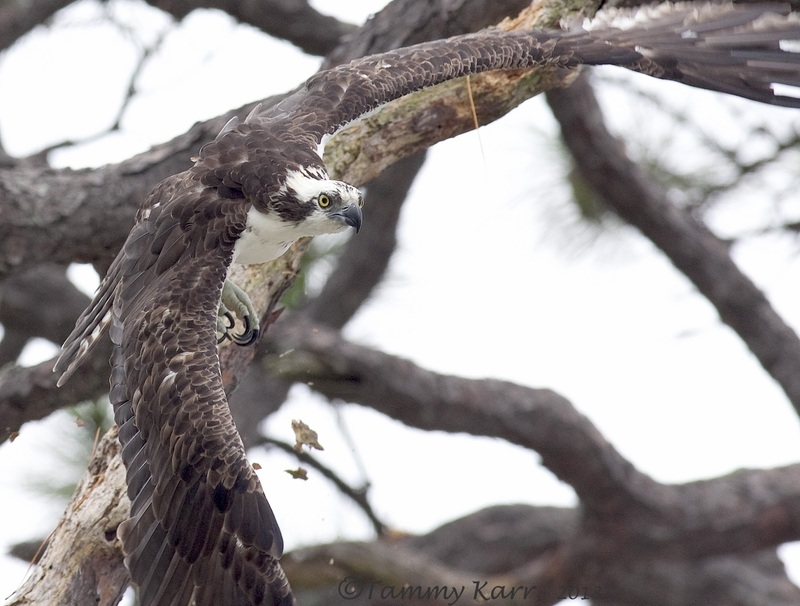 There are many nests in very close proximity and most of all the juveniles have fledged. 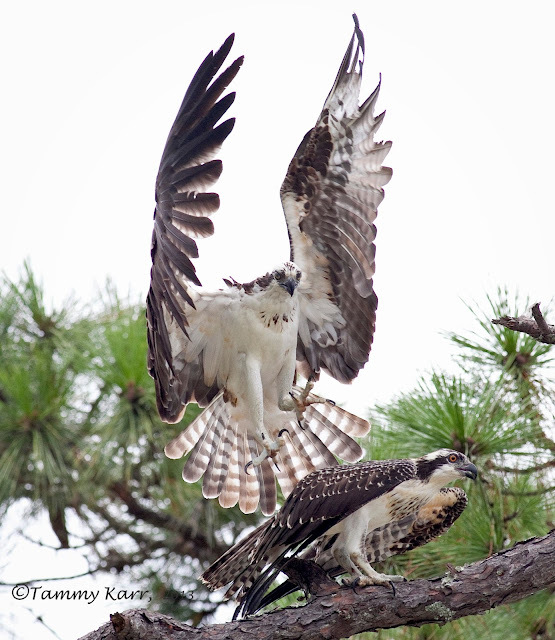 It quickly became apparent this "nest crashing" juvenile was not receiving a warm welcome from the resident mama. Nope...Mama was making it clear there were no vacancy or free meals in this tree. 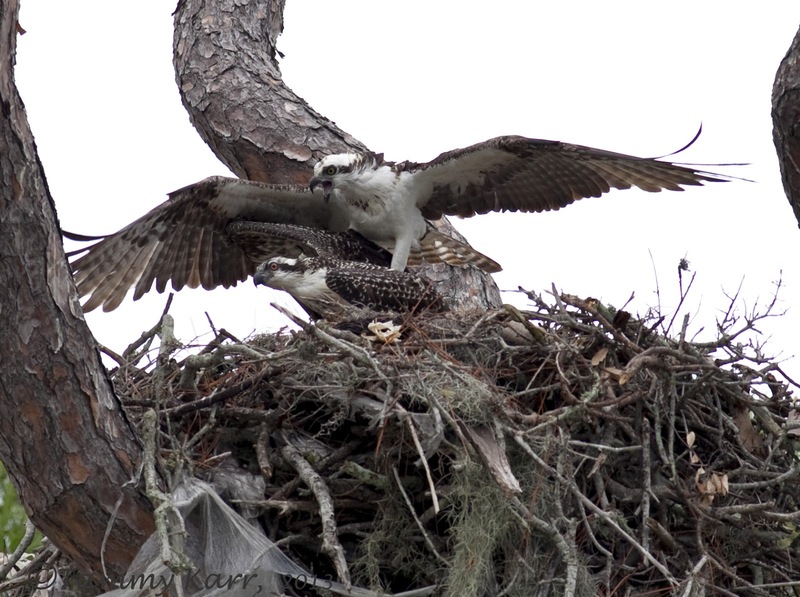 Resident Mama was repeatedly attempting to get the trespassing juvenile to leave, but the juvenile seemed to be determined to stay. I quickly became concerned that this youngster was going to be injured. Mama even came down and tried to discuss her concerns..."what part of get out are you not understanding???" she squawked. it was back to the attacks. 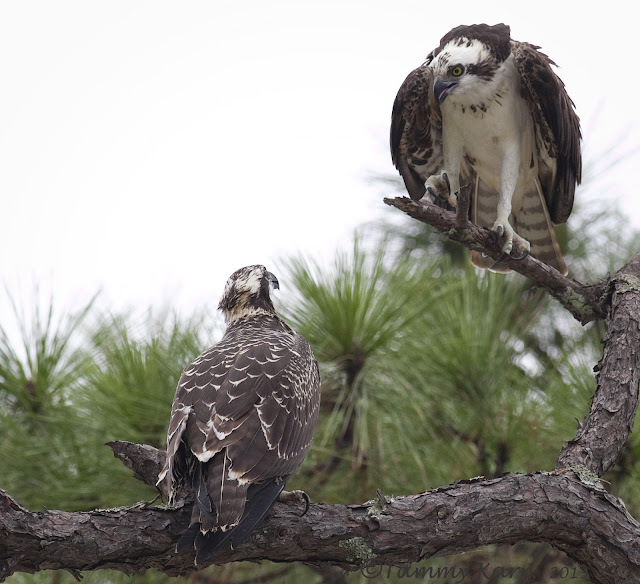 After over a dozen attacks, the juvenile decided it was time to leave. I felt relieved the youngster was on its way. Mama escorted the juvi away. My relief was very short lived as moments later they both returned and this time the juvenile landed right in the nest. And you guessed it, Mama was angrier than ever! Mama held the juvi down for several minutes and I was really worried the juvi wasn't going to resurface, but finally it did. This time it was smart enough not to return and the tree was drama free for the remainder of the day. I found these interactions interesting and did some reading on "visiting" juveniles. 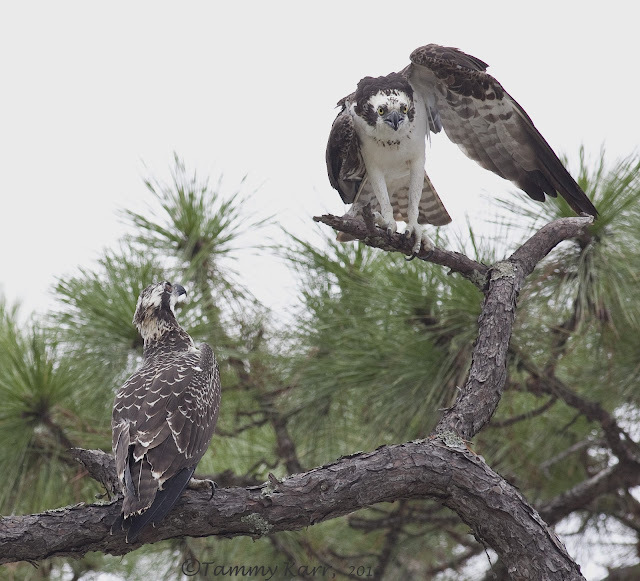 I didn't come across too much information, but did read that juveniles will occasionally attempt to nest switch after fledging. 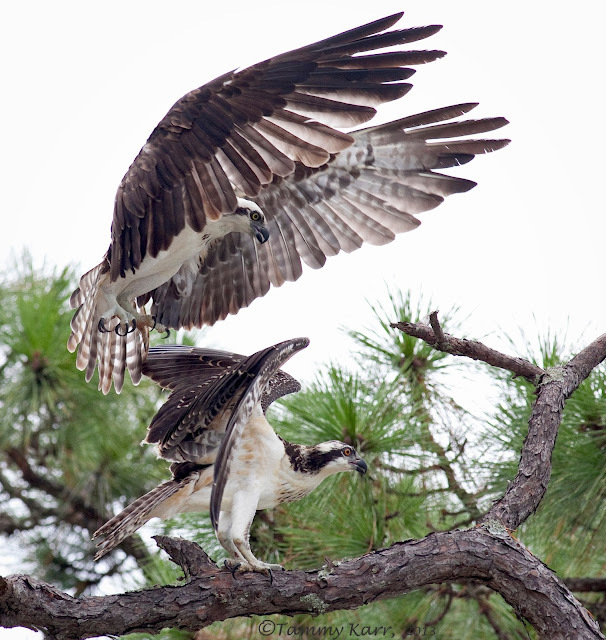 These juveniles are usually motivated to switch by hunger. Once a juvenile fledges the nest, they still rely on their parent for food to survive for up to 3 weeks as they learn to catch fish on their own. 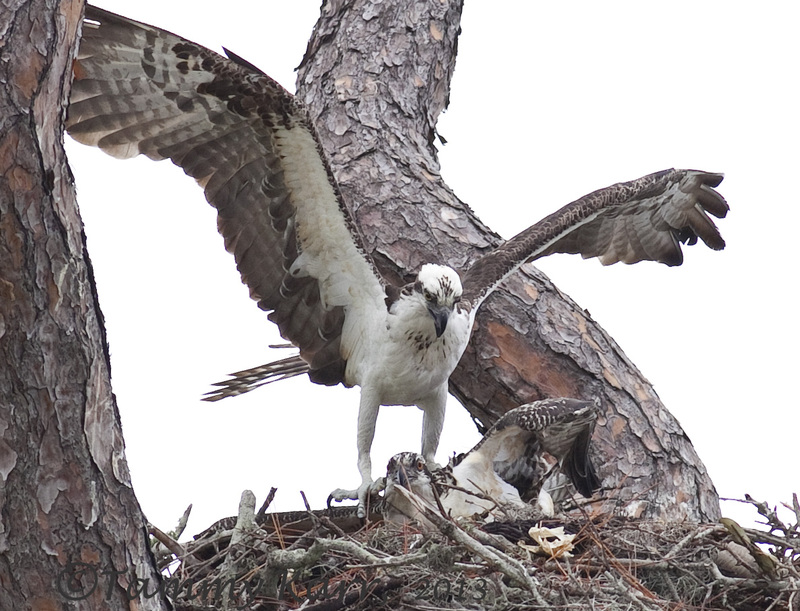 I did read that some adult Ospreys will accept other young and feed them. Obviously this mama wasn't too accepting! Probably the best action shots I have ever seen Tammy, absolutely fantastic, love to commentary too. Going to Mull for a few days tomorrow, hopefully get some good shots, meeting my Daughter there. Oh, Tammy, what a wonderful post! I can't believe the excellent series of photographs you were able to get and your narration of the event is most entertaining!! Well done! 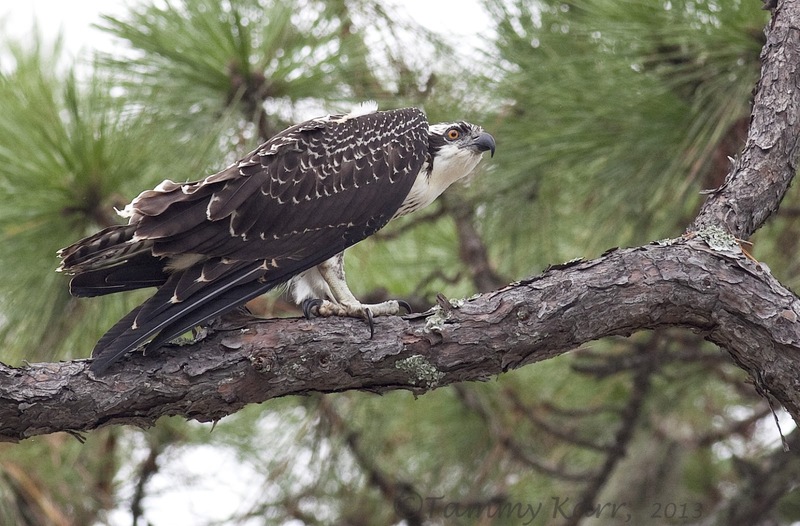 I am reading a great book and learning a lot about ospreys - Lady of the Loch, by Helen Armitage, well worth acquiring. Amazing detail in the action shots! I feel bad for the juvenile. He was probably hungry and scared. wow! amazing shots! poor hungry, scared young freeloader! Wow, what fascinating shots and story. Some kids just don't know when to leave home - anyone's home! Buahhh copulando y todo. Eres genial Tammy. Un saludo desde Extremadura. Geweldig wat is dit mooi z,on hele serie klasse. I agree nail bitting moment.Glad all worked out. great shots. Wow... what amazing action and interactions between the birds! 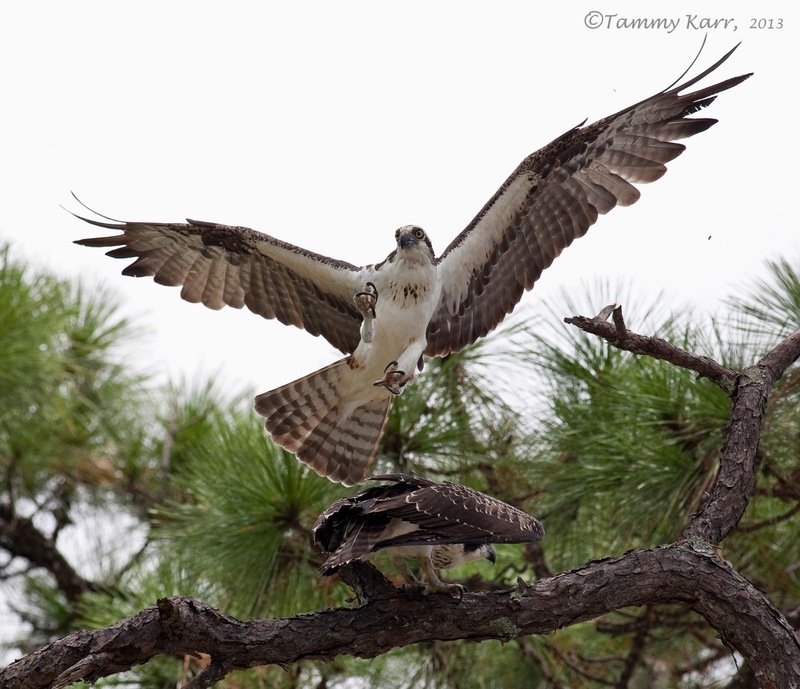 Excellent post Tammy! What a great series of photos. They are all totally awesome! Wow, so interesting! 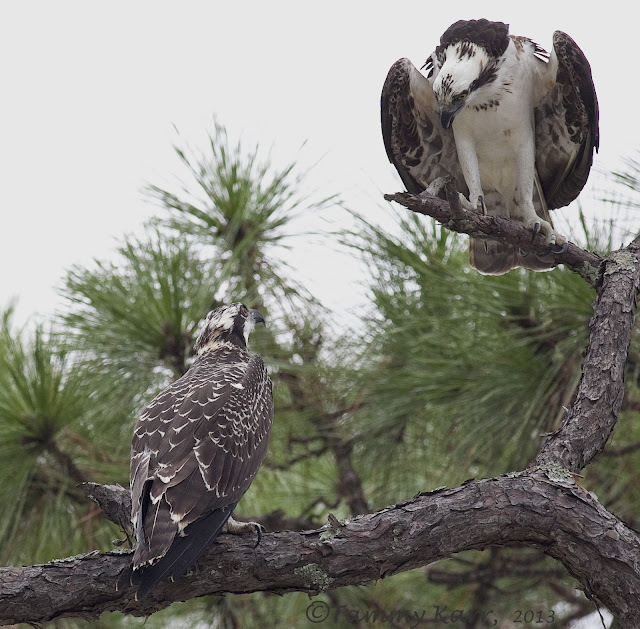 As much as I like bird drama, it's definitely hard to watch them not getting along. Glad things worked out, these photos are awesome! Great behavioral series! I've read about this phenomenon but it's fascinating to see your graphic documentation. Nice work! These are great! I definitely would not want to be on the receiving end of those talons. What a fascinating post, Tammy! 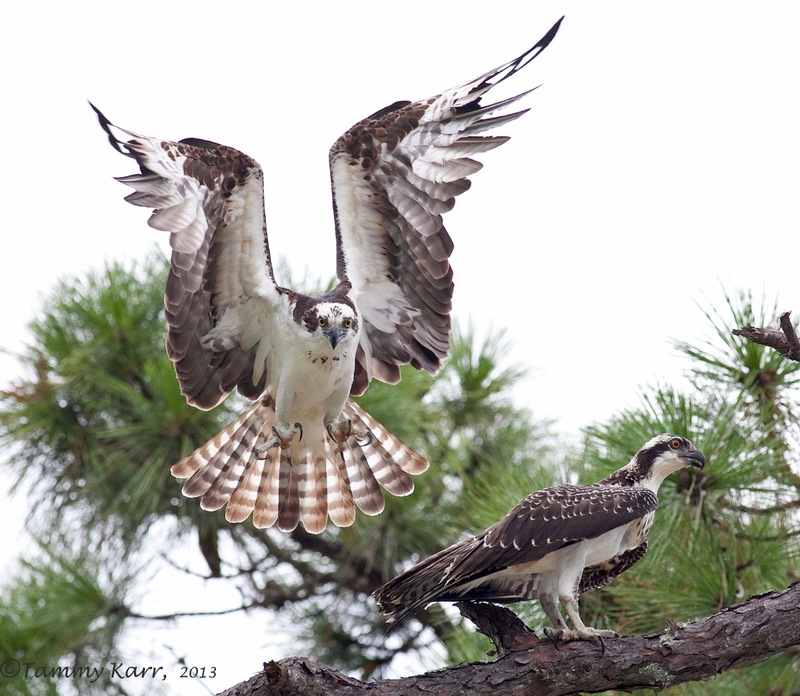 These 2 birds allowed you a great observation moment and thrilling shots! Also I enjoyed it tremendously! Great shots! 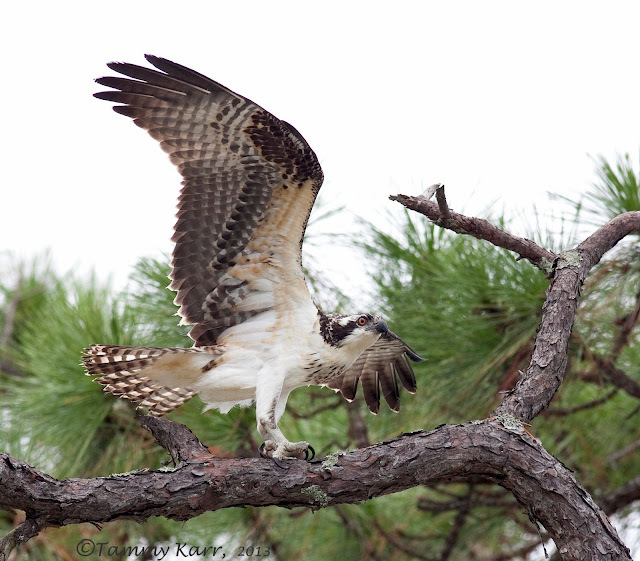 I always have fun with these osprey in action. Good work!